Property managers are very important to the healthy operation of a rental property. There’s a lot that goes into managing a property, so property managers must be detail oriented, organized and have excellent communication skills. Advertising a property properly can make the difference between having a quick, smooth experience and a long, drawn out one. Property managers must utilize sites like MLS, Kijiji, Craigslist and Viewit as well as draw upon their network realtors, relocation companies, and tenant database. Once the ads are placed, property managers will then show your property to prospective tenants, collection applications forms and screen tenants. Perhaps one of the most important responsibilities of a property manager is to screen tenants. Having a good system in place for screening is essential. To name a few things: tenant income, credit, employment, landlord references must be checked and identity must be verified. There are other things to check for as well in case the prospective renter is self-employed or owns a property and hasn’t rented before. Once a tenant has been selected, the property manager will then meet the tenant(s) on move in day. They should provide them with a welcome package as well as record the keys that are being released. A physical walk through of the property should also be done as well pictures of any existing damage and general photos of the property – in the event there is damage later on. This is a very important step that a lot of landlords skip because of their time restrictions. Keeping the income flowing requires organization and systems – both in the form of banking systems as well as a solid accounting program. Property should never accept cash. We prefer direct withdrawal (PAP), but many individual landlords cannot reap the benefits of this method of payment. The next best option is to collect post dated cheques. Property managers will deposit the rents each month and make sure that the funds clear without any problems. In the event that bills associated with your property need to get paid, your property manager should take care of this. Ensuring that they receive your bills is imperative to this requirement being effective. Property managers should then deduct the money from your rental income each month and provide you with proof of payment and supporting documentation. Property managers must send you the balance of your income minus your expenses each month. Depending on the property manager, you may receive this payment via Direct Deposit, Cheque or Email Transfer. Each month, your property manager should be able to accurately account for your expenses. They can do this by providing you with financial statements that are accurate and organized. You should be able to see a detailed breakdown of your income as well as your expenses. Always ask a prospective management company how they handle finances are ensure that they are able to fulfill your financial reporting needs. Having access and transparency to all of your documents and financial statements is imperative. Property managers should always make this possible by utilizing an online portal where you can access your information anytime from anywhere in the world. Property managers should also ensure that the information is kept up to date and accurate so that you do not need to chase them around for what should be included in the cost of managing your property. Like any successful relationship, your property manager must have a calm, positive and great attitude – during good times and bad. If you sense that you may have a personality conflict with your property manager then you may need to find a better fit. Depending on your long term goals regarding you property, you may be dealing with your property manager for a long period of time and therefore it is important to ensure that you can get along with them and that they can fulfill your needs. 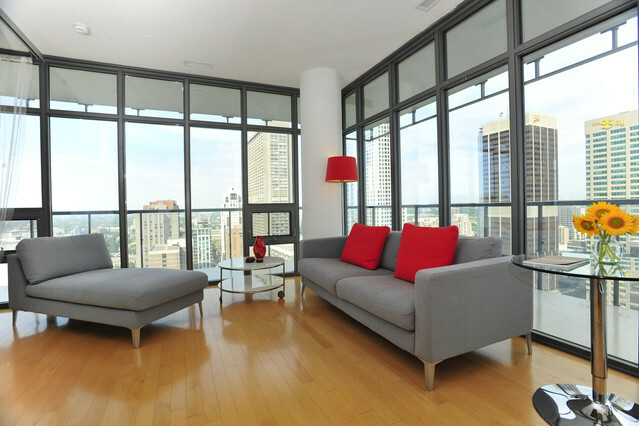 Our company provides full service property management services for Landlords in Toronto. We work hard to ensure the smooth management of our clients’ properties. We have a fantastic team and provide excellent customer service. Are you looking for more information on our property management services? Visit our Property Management page for Property Owners to get more information.